Lithium-ion polymer batteries or polymer lithium ion or more commonly lithium polymer batteries and Lipo for short. Thunder Power lipos are know to be top quality lipo batteries in the RC hobby world, although the price is much higher, but as they say, you get what you pay, quality batteries. I myself rather pay 70% less and purchase from Hong Kong. The longevity of your batteries depends on how hard you push them and how slowly you charge and discharge them. Charging your lipo batteries fast and draining them fast will make them wear out quicker ( sometimes as little as 10 cycles ). The capacity of the battery is measured in milli-amp-hours ( mAh ), and it determines how long the battery can run before it’s drained to its minimum safe voltage. The voltage of lipo batteries is affected by how many cells are in the pack. 3-cell Lipos give out the same voltage regardless of the capacity. An 800 mAh lipo packs have the same voltage as say a 2200 mAh packs, but the 2200 will last a lot longer if the amperage of the motor is the same. The 2200 is also a lot heavier, which is why its best to use them on bigger planes, and a 800mAh size battery is great for little planes that weigh around 10 to 20 oz such as the little 3D banchee or the Sammy 3D. So basically the mAh of the lipo battery is how long the battery will give out juice, mAh has nothing to do with voltage. To find the max amprage or max C rating or max C burst rating of a lipo pack, you simply take the capacity of the lipo battery and drop the ‘hours’ unit and multiply by the rating number. So a 2200mAh ( milli-amp-hours ), drop the hours unit, leaves you with 2200 milli-amps, or 2.2 amps. 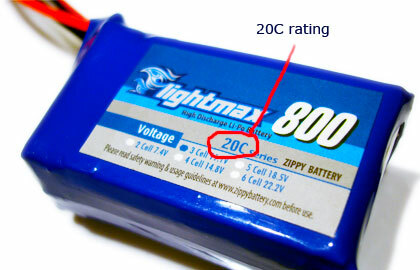 If the rating is 20C, the maximum current that battery can safely deliver is 20×2.2 amps, or 44 amps. Be very careful that you understand how these units work. Running a battery at less than the rated amperage is required, and running it at much less than the rating will extend the life of the battery. The amperage that your plane will draw is determine by the battery voltage (not capacity), the specification of the motor, and the propeller you choose. The capacity does not determine the amperage you will get, but it does determine if the battery will run safely or not. 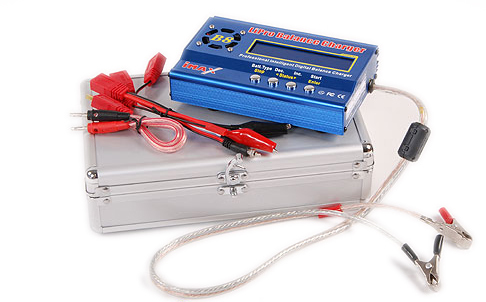 One thing i cannot say enough is to purchase a quality lipo battery charger. If you are really into this hobby and use a generic charger, you are putting your self and your home or car in danger of fire, i myself know of 4 people in the field where i fly at who have burned their cars by either not having a good charger or not knowing how lipo batteries work. Below is a great battery charger that i use myself and have been using it for over 2 years now and i highly recommend it, its easy to use, the price is unbeatable and it will balance your battery and charger your battery with a click of a button. Aircraft wings are built with many shapes and sizes for desired flight characteristics of an airplane to achieve greater lift, balance or stability in flight. The figure below also shows the common wing forms and configuration. 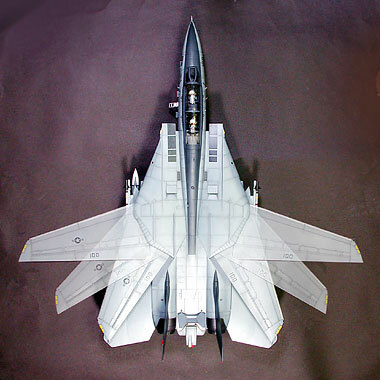 The F-14 Tomcat is a supersonic aircraft with a variable geometry wing. This aircraft wing geometry changes according to flying speed by swinging the wings forward and backward. 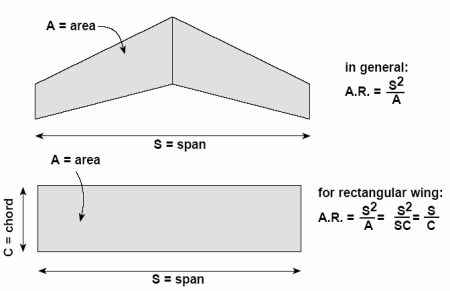 Aspect ratio is an indicator of the general performance of an aircraft wing. In aerodynamics, the aspect ratio of a wing is defined as the square of the span divided by the wing area. It is a measure of how long and slender a wing is from tip to tip. 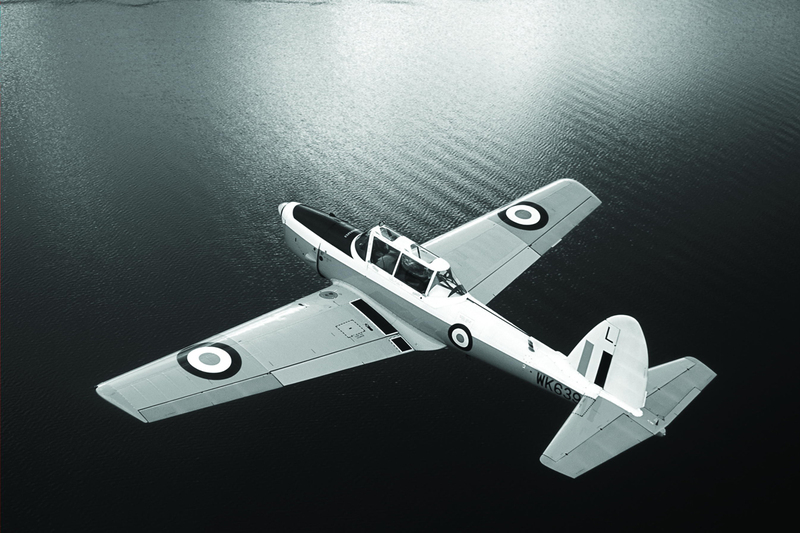 For “high” aspect ratio aircraft wing indicates long, narrow wings, whereas a “low” aspect ratio wing indicates short and stubby. Higher aspect ratio has the effect of a higher rate of lift increase, as angle of attack increases, than lower aspect ratio wings. 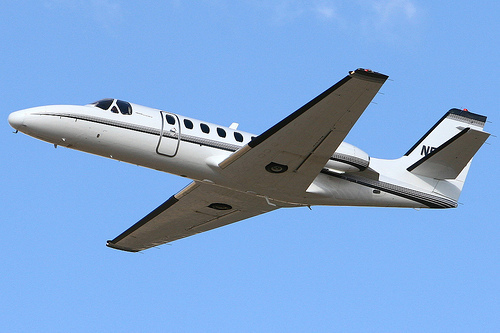 The purpose of dihedral is to improve the aircraft stability during flight. Dihedral angle is added to the wings for later or rolls stability. When the aircraft encounters a slight roll displacement caused by distribute from air stream or a gust of wind. An aircraft wings with some dihedral will naturally return to its original position. The front view of this wing shows that the left and right wing do not lie in the same plane but meet at an angle. 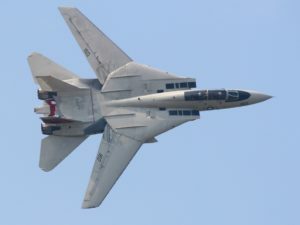 The aircraft’s wing is inclined upward an angle from root to tip. 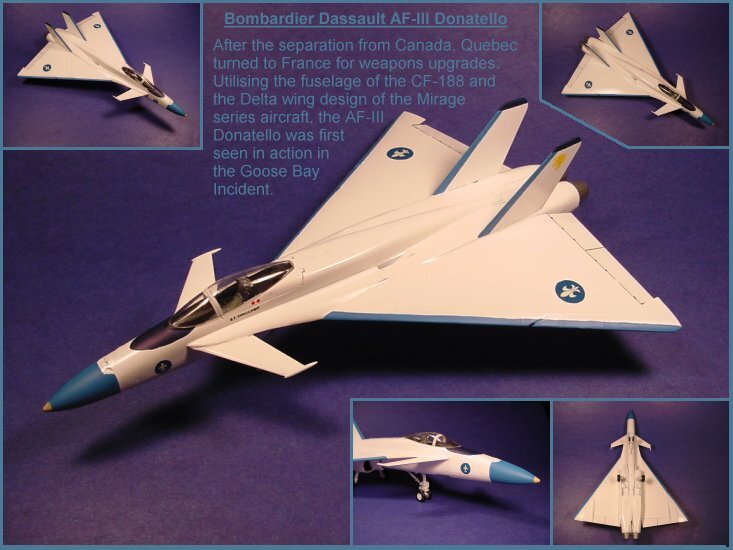 The angle that the wing makes with the local horizontal is called the dihedral angle. This is the reason why most commercial airliners such as the 747 or 737 have a dihedral wing for stability. 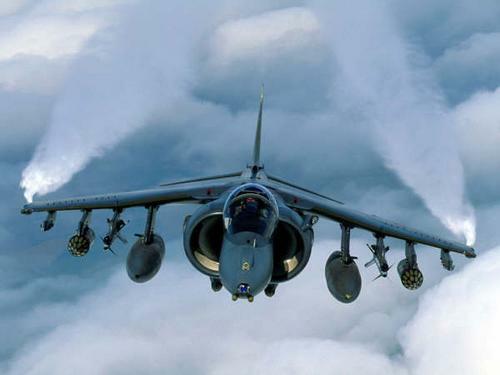 Highly maneuverable fighter planes, on the other hand do not have dihedral but rather have the wing tips lower than the roots giving the aircraft a high roll rate such as the harrier GR7 jets. A negative dihedral angle is called anhedral.